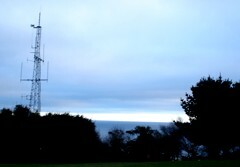 The Phone Mast - Modernist object or eyesore? 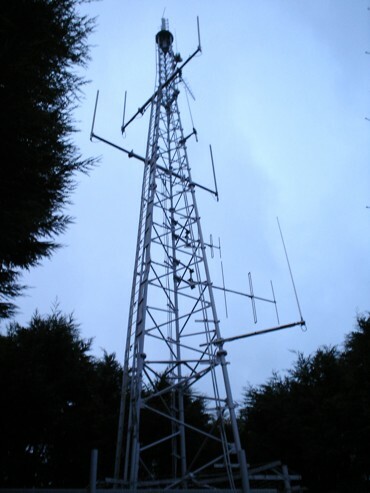 Hidden away from the eyes of the tourists, and disguised by strategically planted trees, the Phone Mast of West Looe was the inspiration behind the Barrow Hill telecommunications mast. 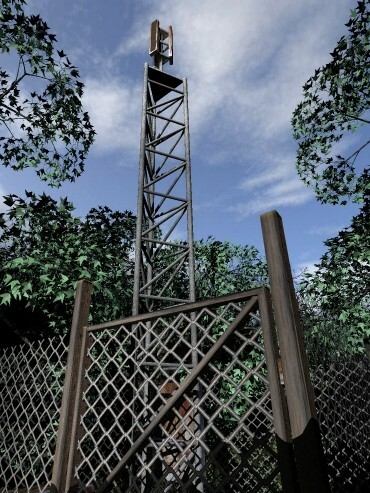 The mast not only makes an appearance in the adventure game, it also provides one of the games trickier puzzles. Resetting the phone masts junction box is essential, in-game, to receive phone calls from game characters. (I, for one, took hours trying to solve that dratted puzzle - ed). In the unlikely event that you should want to visit the West Looe Phone Mast, I can say it is easily accessed, and viewed, in the park on top of the hill. See 'multimap' below for more details. The views from this high point are spectacular, which make the trip worthwhile. 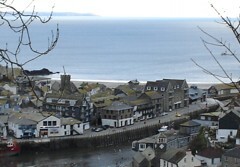 Sitting on a nearby bench, you can scrutinize the harbor town below, or gaze out to sea as far as Dorset, Devon and beyond. The Eddystone Lighthouse (12 miles out at sea) is visible on clear days, and was the inspiration for XXv Production's 'Dark Fall 2'. Love them or hate them (there can only be a few in the former category), Phone Masts have become as essential feature of the modern landscape. For every local bemoaning their ugly rigidity, there are hundreds chanting the 21st century catchphrase of "there's a good signal here". 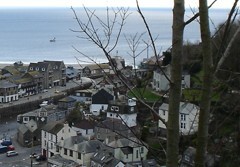 As someone who lives, and works, in Looe I am grateful for the phone signal, I'm just glad that I don't live underneath it. Buzzzzzzzzzzzz. Right: The Barrow Hill Phone Mast, hidden behind the Service Station.